We are delighted to announce that our Daybreak Rosewood Club in Greater Leys was chosen to receive a Dignity in Care Award by Age UK. 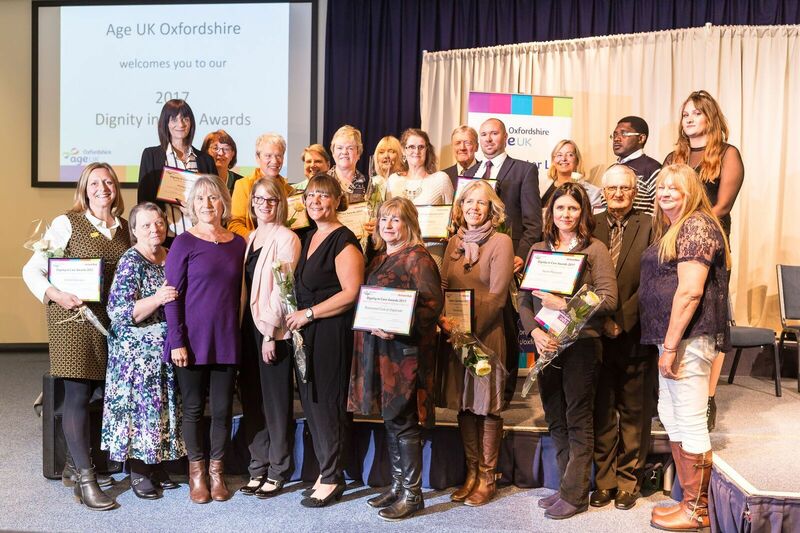 The presentations took place on Friday, 3rd November, and the photo shows Rosewood staff accepting their award (front row, 2nd, 3rd, 4th, 5th and 6th from left). We would all like to congratulate the staff on this fantastic achievement, which is an acknowledgement of the wonderful care and support given to the Club members, always treating members as individuals and with the utmost dignity.